Instead of thinking about all the things you SHOULDN’T say, here’s what’ll work. 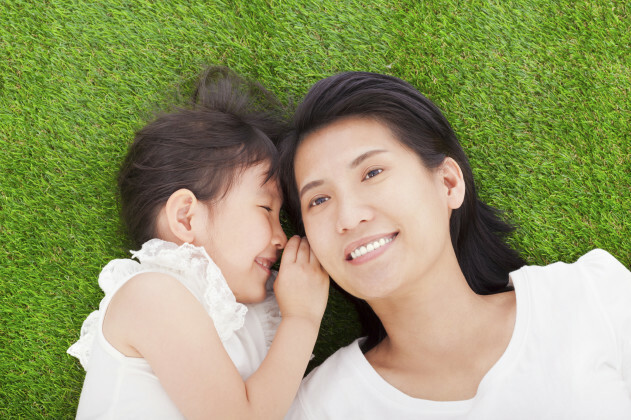 There are a lot of lists out there about things you should never, ever say to a single mom. Those lists are pretty long, I know. But here’s one that could help you out! Seven things you should TOTALLY say to a single mom. 1. Your hair looks great! Seems simple, right? Take a look at that sentence again. There is no WOW! in front of it. There is no “today” at the end. Never confuse “Wow, your hair looks great today!” with this sentence I’m sharing with you. That’s where you screw things up. 2. Your kid is going to be so proud of you. This one? This one is gold, you guys. This is a wonderful thing to say to any parent, but for us single parents, it can be the lifeline thrown out to us just as we were beginning to drown. I’ve come a long way since my divorce and have been able to build up my career, my confidence, and my world again. Difficult no matter the circumstances, but especially difficult when my whole identity before was wrapped up in someone else. When people tell me that my kid is going to be proud of me one day, it makes all those nights of working until 2am because she was cranky during the day worth it. Especially when she wakes up at 3am to audition for Metallica. 3. Of course it’s OK to leave him/her with a babysitter! I felt so guilty the first couple of times I left my daughter with a babysitter. Especially when I was leaving her with a babysitter so I could take in some adult beverages. Tell all your single mama friends: THIS IS OK. Actually, tell all of your mama friends that. Tell every parent you know that. Your kid will be totally fine without you for a night. 4. It’s also totally OK if you didn’t reeeeeally miss your baby too much. Oh man. I have Facebook friends who often write statuses like, “Left the kids at home with Dad so I could go shopping. I miss them so much!” and I was all What the hell is wrong with me? Yes, if I’m gone from my child for an extended length of time, I miss her. But I’ll be honest, if I’m out for a night with my boyfriend and don’t plan on seeing her until the next morning? Well. Mama’s not missing her precious baby too much. Tell your single mama friends that that is totally cool. Chances are, they are with their child ALL.THE.TIME. It’s OK to feel free to do your own thing, especially if “doing your own thing” doesn’t include a highchair or diapers. 5. A family is a family, no matter who the major players are. We need to hear this sometimes. The first few months of my separation, I panicked. A lot. I was terrified that my child was going to grow up without a family. It didn’t help that her dad was already with someone else and the thought of her being in a happy, “traditional” family there and stuck with just me the rest of the time kept me up at night. It didn’t take long though. I realized that family is family, regardless of who is around all of the time. I’m her mom, she’s my girl, and we are a family. Easy as that. I feel like I lost a lot of the joy that’s supposed to come with motherhood in those early days. Taking her trick-or-treating, to see Santa, or simply giving her a bath all felt incomplete. I didn’t soak in the moments like I should have. I was too busy being upset that it was just me. I hated the thought of all of her memories being just me. Was she having fun with me? What about the moments where I lost my patience and there was no one to take over? Someone finally told me, not long after I realized that a divorce was really happening, that I was enough. I was always going to be enough for her. Sure, other people would be around. She would have a father and extended family. But me? I was always, always going to be enough for her. Just say this to all the parents in your life, OK? No need to elaborate. No need to make a big production of it. Just three little words. You’re. Doing. Awesome. Because they are. Samantha is a freelance writer and mama to sweet Alice June born in July 2014. She believes wholeheartedly in being barefoot, afternoon coffee breaks and her Atlanta Braves. Follow her on Twitter and Contently.